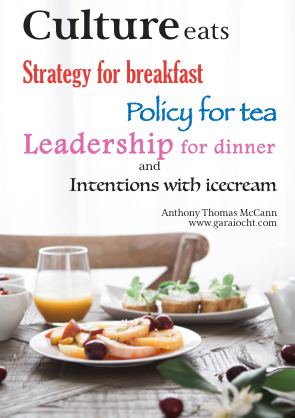 and powerful ways to enhance organisations and transform our world. can foster a deeper humanity in professional life. Find the heart of being human in the art of being professional. 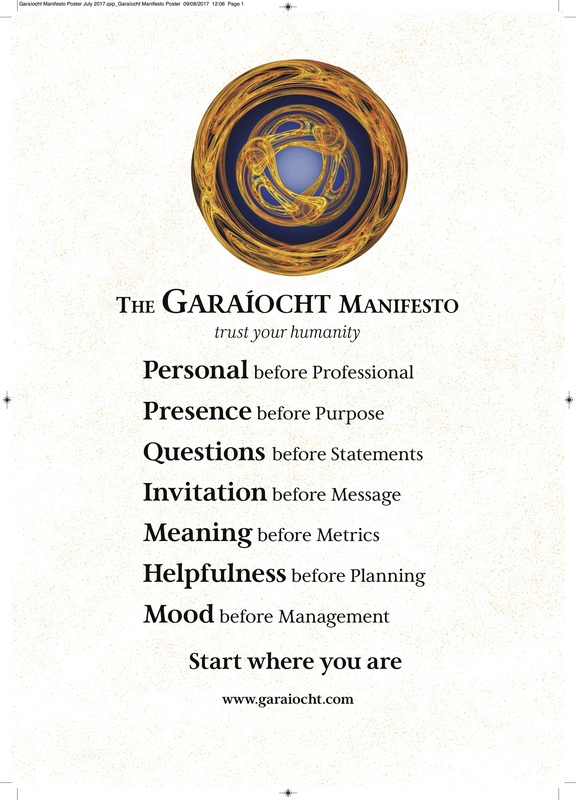 The Garaíocht Manifesto is the culmination of many years of interdisciplinary and cross-sectoral research and practice into what allows people, groups, organisations, and communities to nourish, flourish, and thrive – in other words, the practice, principles, and design of helpfulness. Garaíocht has become for me a way to speak more generally of a particular quality of relationship – a particular tone, atmosphere, or ‘culture’ – in which the most helpful aspects of being human are most likely to happen – for example, kindness, caring, generosity, gentleness, trust, nurturing, sharing, collaboration, gratitude, transparency, emotional safety, or spontaneous creativity. All of these feel more appropriate in an environment of garaíocht. 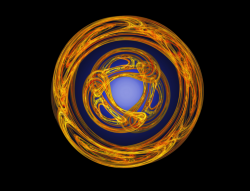 They become probable, rather than improbable or implausible. to reconnect with their humanity. The Garaíocht Manifesto is available as a free download. from the online shop, in Irish or English languages. you can get the double set at the moment at 50% off the regular price. are not useful or important for what we do. I like results, productivity, and success as much as the next person. It’s just that I like basic humanity, decency, dignity, and the common good a fair bit more. And I think that approaching work with heart and humanity will allow us to achieve results, productivity, and success with greater vigour, authenticity, integrity, and, dare I say, professionalism. The Garaíocht Manifesto is about declaring a commitment to truly helpful professionalism. Helpfulness you can feel when you walk into the room. The Garaíocht Manifesto puts second nature first. Where it works. The Garaíocht Manifesto is an invitation to step behind the hype, the jargon, the bluster, the justifications, explanations, and aspirations and allow yourself to be more honest about what is actually going on. An environment of garaíocht leaves little room for you to hide. Despite the discomfort you might feel, that’s not a bad thing. If you want to get real, going in the other direction will never get you there. When people commit together to clear away the guff and get closer to the action, by default they become more transparent and accountable to each other, and more able to respond to what is actually going on. Vulnerability is only actually vulnerability if you’re in a place where you’re unlikely to be safe. Any other time, it’s just humanity. At its strongest. The difficulties come when you expect greater transparency, accountability, and response-ability to happen in work cultures that are primed to support obfuscation, plausible deniability, and disengagement. Be careful planting trees where they are going to get cut down. There be dragons. Have no doubt, the Garaíocht Manifesto is anything but fluffy. 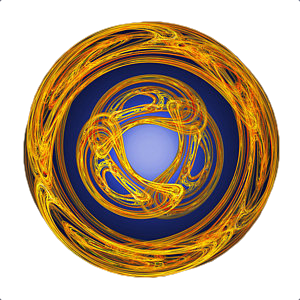 Working towards a greater humanity in the current, worldwide organisational climate can raise hackles, not just eyebrows. Greater transparency and accountability are not what everybody wants, and many people in business thrive on their absence. But if we want more good than harm to come from the work we do, then working more systematically and consciously to foster helpfulness in professional life is the sine qua non of sustainable leadership. get in touch on Twitter or follow the Facebook Page. Click here for more information about the training and support and coaching that garaiocht.com offers. 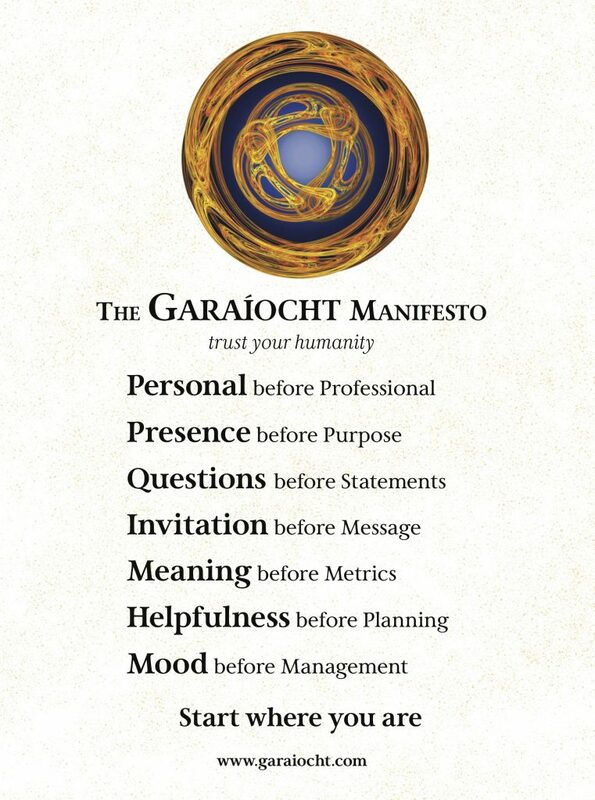 If you’d like a talk on the Garaíocht Manifesto for your group or organisation, please get in touch.